MySpace's boundary blurring social-networking app Sync has officially gone live in the UK, the company has revealed. 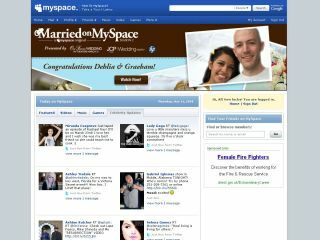 The application which allows users to sync up their MySpace updates to rival online site Twitter was announced on Monday, but the initial beta was available just for those residing in the US. It's not taken long, however, for the feature to cross to our shores, along with Canada, Ireland, Australia, New Zealand, and India. Features of sync include: the ability to have status updates synced from MySpace to Twitter and vice versa; status syndication can be enabled for one-way or two-way; when updates post to Twitter, readers have a link back to MySpace to make commenting easy; and on-the-go status syncing is enabled, through WAP and apps. Sync marks a different tack for the Rupert Murdoch owned MySpace, which has fallen out of favour with social networkers throughout the world. It seems the company has decided to rely on the 'if you can't beat them, join them' adage. Will it bring users back to MySpace? TechRadar will keep you posted.